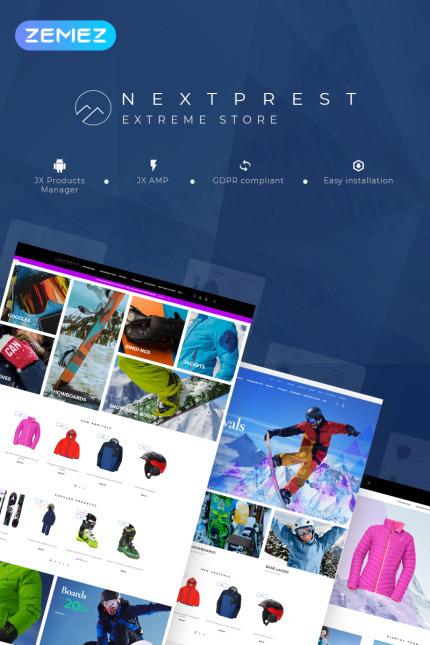 Extreme Store is a child theme of Nextprest family intended to help you to create a profitable online store to sell activewear, sports clothing and gear. 3 ready-made layouts, 3 Product Pages, 3 Category Pages, 3 variations of Quick View, and a number of other advanced options are included in a pack to open new horizons for powerful eCommerce business. Let your customers break into the winter atmosphere with this responsive PrestaShop theme. Hit the Live Demo!